Dreams are a wonderful place. But they are better when they come true. 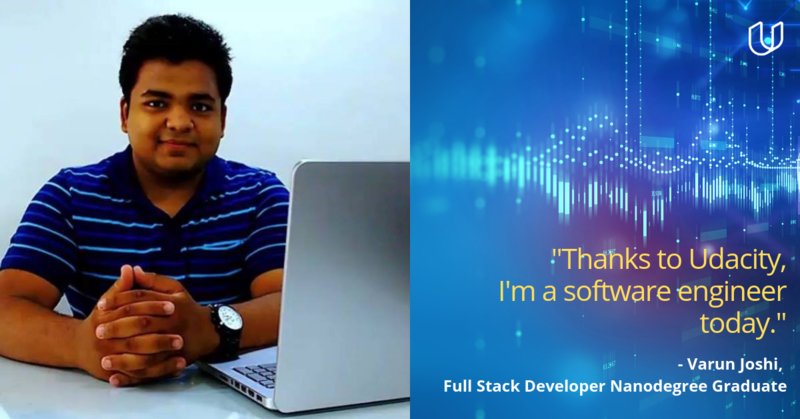 For Varun Joshi, a 24-year-old Udacity Full-Stack Nanodegree Graduate, recently one such dream came true when he got a Software Engineering job. Here are some excerpts from our conversation with this Udacious student of ours. I'm Varun, a 24 year old Software Developer from Pune, India. I'm a Computer Engineer from the University of Pune. Before enrolling into the Nanodegree Program, I was an Android Developer for about a year and a half. 2. What prompted you to take up the Nanodegree and did it meet your expectations? There's actually an interesting story here. Although, Full Stack Web Developer was my first Udacity Nanodegree, yet my connection to Udacity dates back to 2016. As a computer engineering student, we were supposed to work on a project that would be my final project for my degree. That's when I came across Udacity for the first time. I enrolled for a couple of free courses which included courses on android networking and database management. It was an amazing experience. The instructors were cool, funny and it somehow did not feel that I was learning from a video. Thanks Kathrine, Jessica, Chris & Kunal! I was able to build cool apps on my own and my confidence was on the high and it finally led to my first job. So when it was time to think about a new path for my career, Udacity was the obvious choice. I chose the Full Stack Web Developer Nanodegree Program because I felt it was the most comprehensive curriculum. It helped me open up to newer technologies & pursue my interests with confidence. The project reviews were helpful since they did not just check if my code worked, but also suggested improvements & made sure I was writing good, readable code. 3. What was your major learning/ benefit from the Nanodegree? 4. Tell us something about your new job and how do you feel about it? I started searching for a job soon after graduating from my Nanodegree. I'd heard stories of people taking months to land a good job after taking a break and honestly, that scared me. 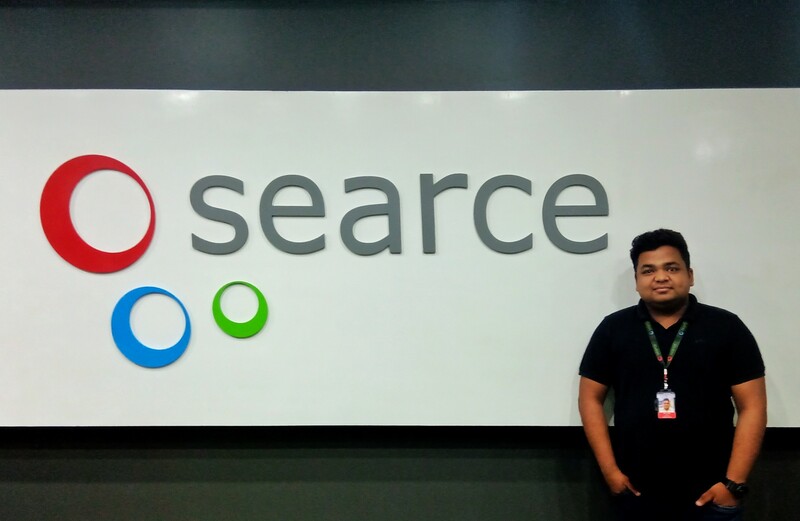 But, I found an excellent job as a Software Engineer with Searce Logistics Analytics here in Pune, a company that helps futurify businesses leveraging the Cloud, Automation & Analytics. I work on frontend technologies currently, and I'm absolutely loving it! I get to work with amazing & talented people everyday working on products that make the lives of its users easier. The Nanodegree experience played an important role in helping me land such an amazing job. Udacity is not just about the Nanodegree Programs and improving your coding skills, it improves your overall career path! Right from the mentorship during the course to the resume & job services, it really brings your career on track. The resume & Linkedin reviews are extremely helpful and they truly bring your career on track. Take full advantage of these services & the Udacity community, they're probably one of the most helpful bunch of people I've ever seen! Want to transform your career like Varun? Check out udacity.com.